Looking for a great romance to read with Valentine’s Day approaching? Check out a best book award finalist, “A Heart of Little Faith,” by Randolph author Jennifer Wilck. 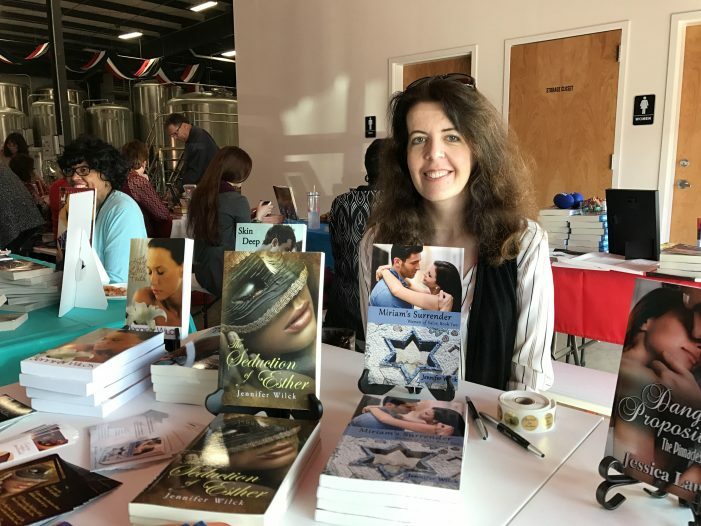 Wilck received a nice surprise before the holidays that the first book she had ever written was selected for a best book award for fiction romance. “A Heart of Little Faith,” has been named an award-winning Finalist in the “Fiction: Romance” category of the 2016 Best Book Awards. i310 Media Group sponsored the awards and announced winners and finalists on Nov. 17, 2016. Excited by the news, Wilck’s passion for writing has boosted her to continue to create characters and story lines with three more books in the works. More than 400 winners and finalists were announced in more than 100 categories. Awards were presented for titles published in 2014-2016. Jeffrey Keen, president and CEO of i310 Media Group said this year’s contest yielded more than 2,000 entries from mainstream and independent publishers, which were then narrowed down to more than 400 winners and finalists. Keen says of the awards, now in its 13th year, “The 2016 results represent a phenomenal mix of books from a wide array of publishers throughout the United States,” such as Simon & Schuster, HarperCollins, Penguin Random House, McGraw Hill and hundreds of independent houses. “A Heart of Little Faith” is a contemporary romance first published in 2011 by Whiskey Creek Press. A second edition came out in 2014 with Rebel Ink Press, an independent company that gave her work a boost by providing more “rigorous editing,” more hands on and marketing as well as a cover, she says. Wilck began writing “A Heart of Little Faith,” in 2006, but it took three years to complete and find a publisher as her first priority was her two little daughters. “I would write an hour a night when they went to bed,” says Wilck, a graduate of Washington University in St. Louis, with a double major in English literature and French. After starting out in public relations, then writing technology articles, Wilck switched to a full-time novelist. She shares her first book’s synopsis. Wilck says “it was my first book. The character Gideon popped into my heart. I was watching TV; there was some passing person who just caught my eye. I wanted to take that character and do something with him. Wilck says, “it has to have a happily ever after, or a happy for now. Real life doesn’t always have that. It makes people feel good. I love creating characters and tormenting them and coming up with a way for them to live happily ever after; putting obstacles in front of them that they have to overcome. Wilck has four titles published and is currently working on three more. Wilck recommends her books to those who like to read contemporary romance fiction, which means “current day” as well as stories that are not graphic. All of Wilck’s books are published by Rebel Ink Press and are available through Amazon, Barnes & Noble and AllRomanceEbooks. She can be reached at www.jenniferwilck.com.